Visit Johnson Tiles Showrooms Today! Johnson Tiles is a trusted industry leader in the design, manufacture and distribution of porcelain floor tiles, ceramic wall tiles, and other world-class tile solutions for various applications. Johnson Tiles has provided more than 50 years of excellence in the tile manufacturing sector. With impeccable taste and superb craftsmanship, the Johnson Tiles catalogue continues to expand further to international markets. Where are Johnson Tiles Showrooms Located? Johnson Tiles makes it possible for architects, interior designers, and homeowners to see their products in full display through their various showrooms and sales outlets across Australia. 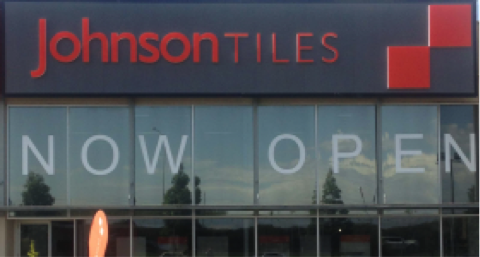 Johnson Tiles hosts two showrooms in the city of Melbourne. The Bayswater showroom and sales outlet is located in Unit 1 along 843 Mountain Highway. The branch is open from Monday to Saturday, with operating hours from 7:30am to 5pm on weekdays, and 8:30am to 3pm on Saturdays. The Bayswater staff can be reached via telephone on (03) 9721 3305 or (03) 9721 3356. The Point Cook showroom and sales outlet is located in Unit 2, along 22-30 Wallace Avenue. Operating hours are from 8:30am until 5pm on weekdays, and 9am until 3pm on Saturdays. The Point Cook staff welcome enquiries via telephone on (03) 8459 2828. 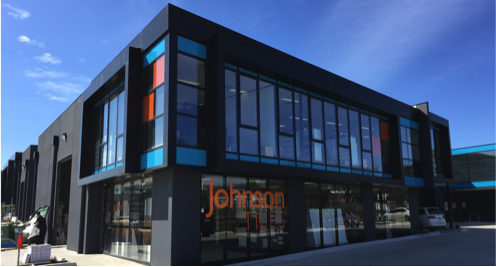 The Johnson Tiles showroom and sales outlet in Sydney can be found in Unit 4, along 5 Merryvale Road, Minto. Showroom hours start at 9am until 5pm every Monday to Friday. Sales representatives from the Sydney branch can be contacted on (02) 8795 0833. Johnson Tiles can be found in Brisbane, along 62 Commercial Road in the riverside suburb of Newstead. The office and showroom are open at 9am to 5pm every Monday to Friday. The Brisbane staff can be contacted on (07) 3257-3255. 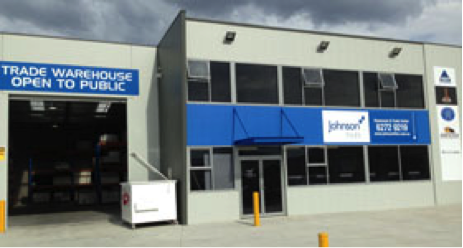 Johnson Tiles also hosts a showroom and sales outlet in Hobart, the capital of the island state of Tasmania. The branch can be found in Unit 2, along 94-98 Charles Street in the suburb of Moonah. The showroom and sales outlet are open every weekday, at 8am to 5pm, and on Saturdays at 8:30am to 12:30pm. Johnson Tiles Australia backs their products with a 10 year product guarantee, proving that they are a customer-dedicated and value-driven company. Designers, architects, and builders prefer Johnson Tiles products because of their high performing properties and premium aesthetic appeal. Contact us today for exclusive bespoke wall tiles with a wide variety of choices to choose from. Visit their showrooms to see their products up close or visit their website at www.johnsontiles.com.au to find out what they have on offer.